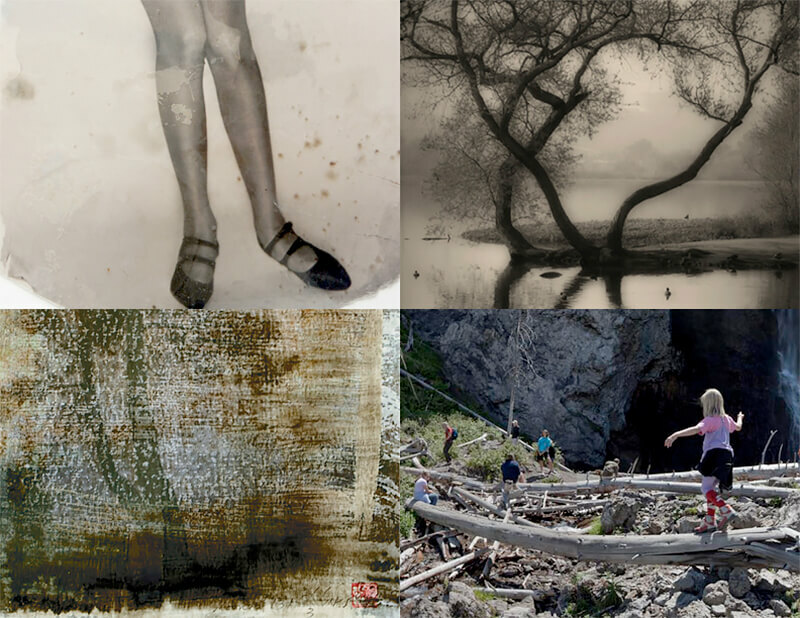 dnj Gallery is happyto announce its next, upcomingexhibition, ''Progression'', displaying work by dnj Gallery artists: Sia Aryai, Ray Carofano, Dylan Vitoneand Melanie Walker. ''Progression'' is designed to show the conceptual characterof dnj Galleryartists. The pieces are based upon certain notions and ideas. Art is an outlet for innovation and reflection.The different series are an alternate way to show their views. As a continuation of the previous exhibitions, since September, theseartists' thoughts and beliefs, or fundamentalideas are revealedin a gradual advancement of their artwork through the years. Sia Aryaidefines beauty in his pieces.As he explains in one of his artist statements, "[t]his is the moment --today, tomorrow or yesterday --when innocence opens a window to eternity. "Aryai prints on painted, water-color paper to begin his aesthetic. But even though hisimages presentthe color,the shapeand other outward features, it is the personalityand spirit, the gestures and passion, and the overall inward sentimentsthat are apparent. Aryaicauses us to witness the actual soul and humanity, a timeless quality, and stresses that there is more to see than ones' first glance. In describing Aryai's pieces, Gil Garcetti remarked, "we who love the magic of photographs are compelled to own and display photographs-photographs that somehow stop us, linger with us, emote feelings unique in our daily lives, and demand that we thank the artist." Ray Carofano'sphotographshighlight the intersection between nature and the designed, man-madeenvironment. Carofano playswith the specific visuals created by the natural world,then mixing that environment with what is created by humanity. As Carol McCusker, Associate Curator of Photography at The Museum of Photographic Arts, San Diego, CA comments, Carofano engages in, "... reconciling the forces of nature with man's optimistic attempt at permanence ...."Taking 'less-picturesque' portions, Carofano's carefully framed images reveal the not-so-hidden majesty of the situation. Conditions that could be considered appalling, on the contrary, appear alluring and serene. Also, Carofano furthers that he, "... had the idea of making what seemed to be mundane into something beauteous." Sophisticated facades, atmospheric light and mood, and rightness of scale give these images a painterly quality that requires close observationin order to determine that the piecesare indeed photographs. Dylan Vitoneaccentuates man's participation in his environment. Vitonemakes extended portraits of communities through intimate observations of their everyday rituals.He confronts the viewer, yet still alludes to the sincerity of the documentation. In capturingthe separate personality of each individual, he creates a conversationamong the people.Vitonecombines numerous shots from a single location to create his panoramas, sometimes up to eight feet long. He employsa multi-exposed, panoramic process to create a layered documentary-style picturethat eventually dissectshis subjects from varying angles and perspectives.As he states, this method "... allows [him] to show simultaneously details and relationships at multiple spatial and perceptual levels...."
Melanie Walkergenerates a kind of personal expression and reflection. She evokes feelings of mindfulness and thoughtfulnessin her imagesby combining and manipulating images. Her work combines landscape images and glimpses of daily routine in ways that address the layered passageof time, sense of place and memory. She mentions that her artwork is, "[c]onnected by metaphor, place and association, disparate images are woven together as are life experiences in dreams. "Walker continues thisdialogue with her deceased father, Todd Walker(a leader in the Los Angeles art scene from the mid 60's through the 70's): a harmony between time and place. As Todd Walker expressed, "Upon closer examination of the photographs I have made over the years,I now see a few that reveal moments when my camera saw far more clearly than I did"